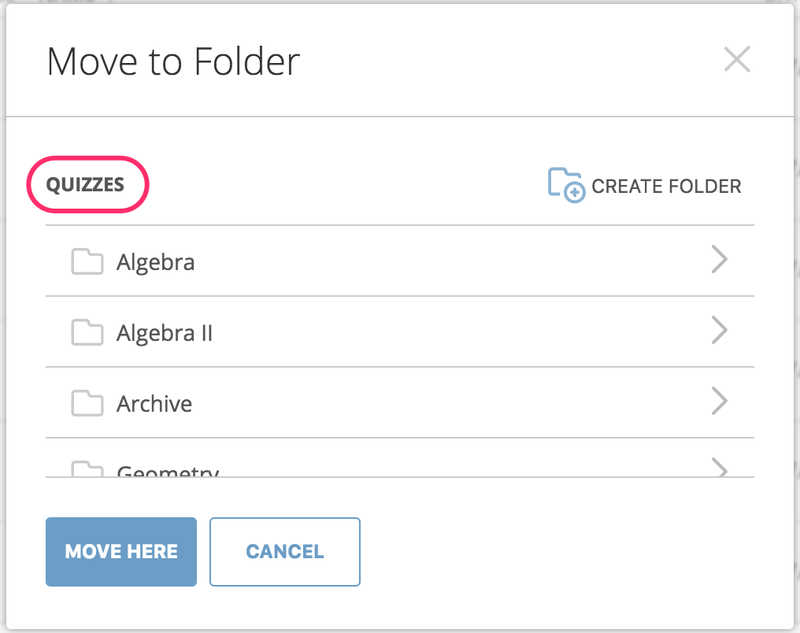 Both folders and quizzes can be moved to different folders. 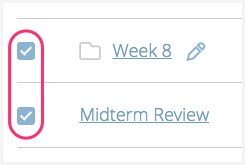 Locate the folders or quizzes to be moved and select the item(s) by clicking the checkbox to the left of the name. Click the Move button in the main view. Locate the destination folder in the Move to Folder popup. The current destination folder is displayed near the top of the popup. 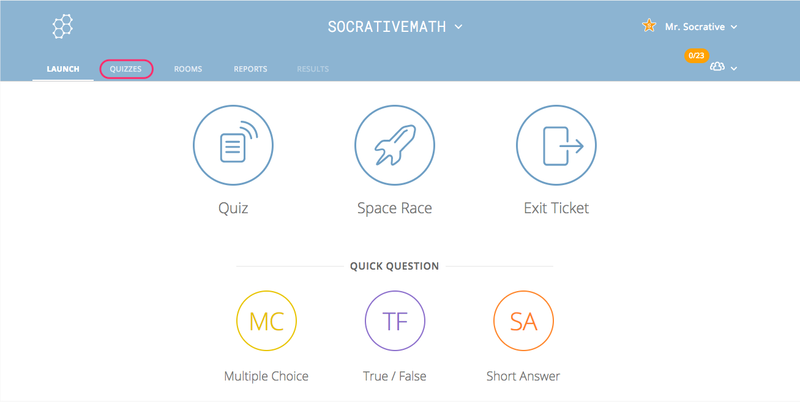 In this example, the current destination folder is named, QUIZZES. The items can be moved to this destination by clicking Move Here. To select a different destination, click a folder name in the popup. In this example, the selected destination is Algebra II. 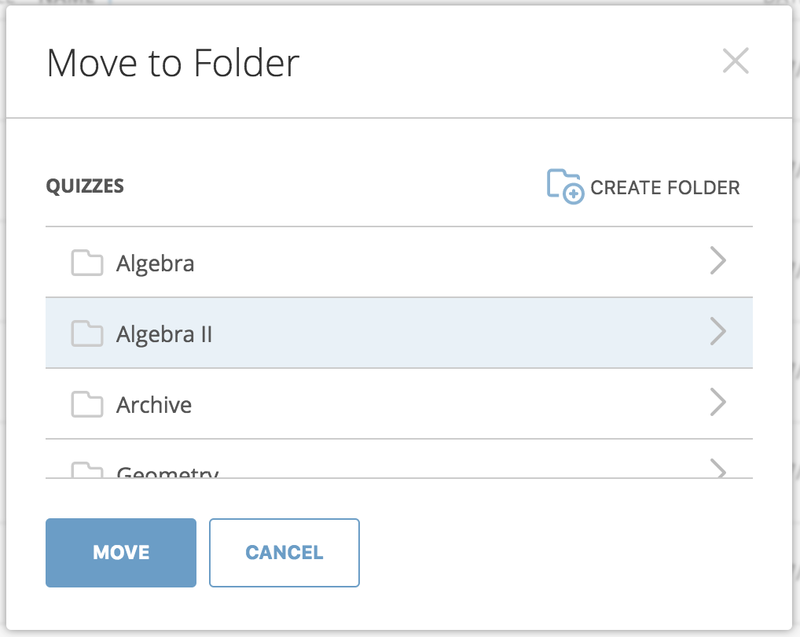 Click the Move button to move selected items to this folder. If necessary to find a folder that is not displayed in the popup, navigation in the popup can be achieved by clicking the arrow to move up the folder tree; or clicking the chevron or double clicking the folder name to move into a folder. 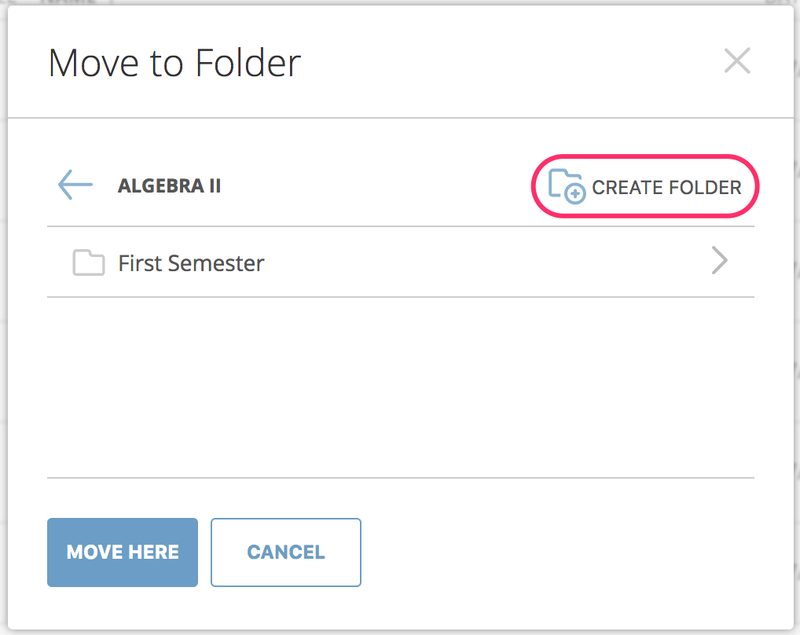 If a new destination folder needs to be created while moving items, click on Create Folder in the popup. Enter a name for the new folder and click the Checkmark icon.